There are those who never consider trust creation because they harbor beliefs that are not entirely accurate. It is true that there are trusts that are used to create separation, so you cannot take back assets that you convey into these trusts, and for the most part you cannot change the terms (though there are exceptions). These are irrevocable trusts. However, there are also revocable trusts like the revocable living trust. These trusts are not going to satisfy certain objectives that irrevocable trusts would satisfy, but they do provide numerous different benefits. Before we look at the benefits, we will look at the flexibility. A revocable living trust is a versatile asset transfer tool. The anatomy of a trust involves the grantor, who is the person who creates and funds the trust. There is a trust administrator called the trustee, and there are beneficiaries who can receive monetary distributions from the trust. Throughout the grantor’s life, he or she will typically act as both the trustee and the beneficiary. In the trust declaration, successors are named to assume these roles after the death of the grantor. 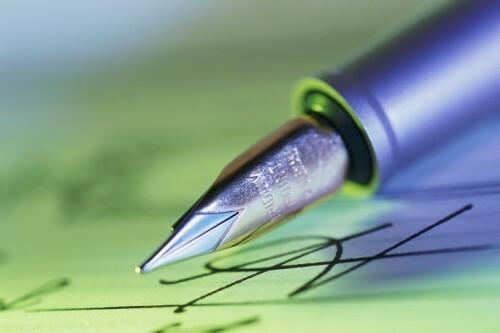 In this declaration, the grantor will leave behind instructions that the successor trustee would be compelled to follow after the grantor’s passing. The living trust successor beneficiary designations are not permanently set in stone. It is possible for the grantor to change the beneficiary designations along the way. This can be relatively easily accomplished through a restatement of the trust. The original trust would continue to exist, but the terms would be restated. We should also point out the fact that you could change the successor trustee in a similar manner. Now that you understand the fact that you have a lot of flexibility with these trusts, we can look at a few of the benefits. For one, you can empower the successor trustee to administer the trust in the event of your incapacitation. Many elders do become unable to handle their own affairs at some point in time. Secondly, you facilitate asset transfers outside of probate. Probate is a time-consuming and expensive legal process that would enter the picture if you were to use a will as your primary asset transfer vehicle. Lastly, you can include spendthrift protections when you create the trust declaration if you want to make sure that the beneficiaries do not squander their inheritances too quickly. If you would like to obtain more detailed information about the value of revocable living trusts, download our special report on the subject. This report is being offered free of charge at the present time, and you can visit this page to access your copy: Free Living Trust Report.